Nathan Reed (B.S. 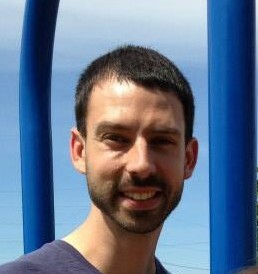 ’07) currently serves as the director of Christian Education and Curriculum at McLean Bible Church (MBC), a multi-campus megachurch in the Washington D.C. metro area. In this position, Nate is in charge all of the church’s classroom environments, overseeing curriculum writing, teacher development, and class coordination. He also is a teacher. During his six years with McLean Bible Church, Nate has served as the weekend service producer for many of the church’s campuses. Prior to accepting his current appointment, he served as the church's college pastor on the campus of Georgetown University. He is also a part-time seminary student, working towards a master's degree in biblical studies from Dallas Theological Seminary, Dallas, Texas. While graduate school and a full-time job are major time commitments, Nate still finds time to play and perform regularly with local artists as a percussionist, and he has also done recording work. Most recently, he recorded a track for a national Nissan television commercial. In December, Nate will marry his best friend and co-worker, Rachel McCullough (’09 Liberty University), and they will live in Arlington, Virginia.